We return to our usual format this week, looking at the biggest records at Blues Radio by examining both the Roots Music Report chart as well as Blues Mobile. 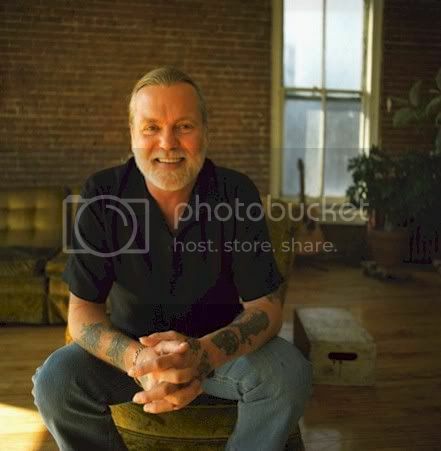 It can't be a surprise to see Gregg Allman's outstanding Low Country Blues still firmly locked in at #1. Allman has great name recognition and his record is one of the biggest, most distinguished blues releases of the year to date. Veteran band Roomful of Blues' Hook, Line & Sinker has also been a major chart force since its release earlier this year. We're entering the final days of voting for this year's Blues Music Awards and we still see several nominated albums and artists on the chart with albums from Buddy Guy, Charlie Musselwhite, Edent Brent, Lucky Peterson, and James Cotton in the mix. We'll be discussing the BMAs extensively at BlindedBySound over the coming weeks as we get closer to the ceremony in May. Sunday Wilde - What Man!? Oh That Man!!! We have some repetition between our charts except for the inexplicable love BluesMobile has for Huey Lewis & The News. I kid, I kid. I love many of those '80s singles. I know they had a bit of bar band shtick but I'm not sure I'd buy into them as a blues-ish act.